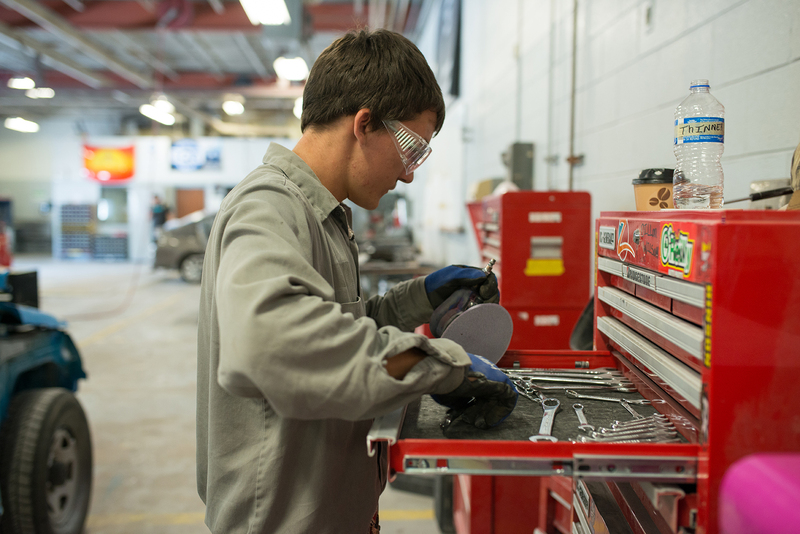 The mission of the Automotive Service Technology Program is to provide training in the methods of servicing and repairing automotive vehicles in order to meet the occupational and technical needs of citizens of the College’s service area who have an interest in this type of employment. Technical instruction and skill development are emphasized in order for the student to become knowledgeable in the facts of the automotive field. The automotive shop is organized to duplicate working conditions found within the field today. 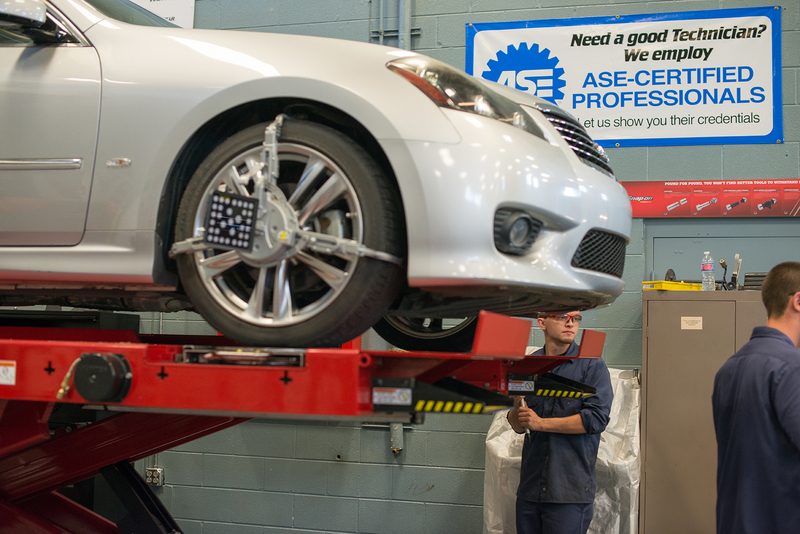 Students are taught to use the proper factory approved methods of servicing, repairing, and maintaining vehicles. Training also includes learning to make the proper diagnosis using test equipment, precision measuring tools (such as micrometers, calipers, etc…), service manuals and specifications. Students also learn the use of work orders, flat rate manuals, time clocks, and customer relations.